Cruise from downtown Seattle to downtown Victoria on the Clipper for a day of exploring the popular and world-famous The Butchart Gardens. Enjoy a narrated tour of Victoria’s landmarks and history along the way and time to explore The Gardens’ 55-acres of floral splendor. After you explore The Butchart Gardens, you will have time time to visit some of the city’s best sites on your own before taking the ferry back to Seattle that evening. Walk on the high-speed Clipper catamaran and cruise from downtown Seattle to downtown Victoria. Upon arrival to Victoria, hop on the double-decker motorcoach waiting for your arrival at the Victoria Clipper terminal. Soak in the highlights of the city as the local guide takes you on a narrated tour on your way to The Butchart Gardens. 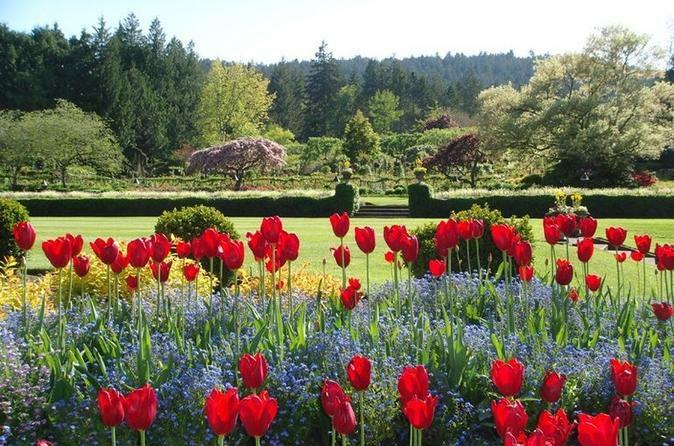 Wander through the stunning 55-acre grounds of The Butchart Gardens. Return to Victoria by motor coach for free time in Victoria before enjoying a tranquil cruise back to Seattle in that evening. * Arrival and departure times vary by season. Please visit www.ClipperVacations.com/seattle-victoria-ferry for full schedule. Please note: A US passport, passport card, enhanced driver’s license or enhanced ID card (EDL/ID) is required to cross the US/Canadian border. If you are not a United States or Canadian born citizen you will be required to have a passport and possibly a visa.